This post took a while to put together. 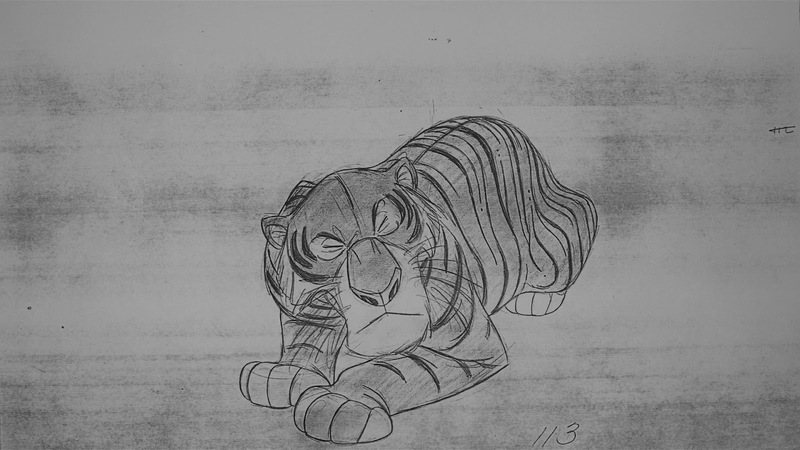 As you know, creating pencil tests is time consuming, but when the result looks like this…who cares?!! Before I get started, I had a great time at the Annies yesterday. It was good to talk to people I hadn't seen in a while. Thought the presentation was hysterical, congratulations to my fellow nominees and the winners. 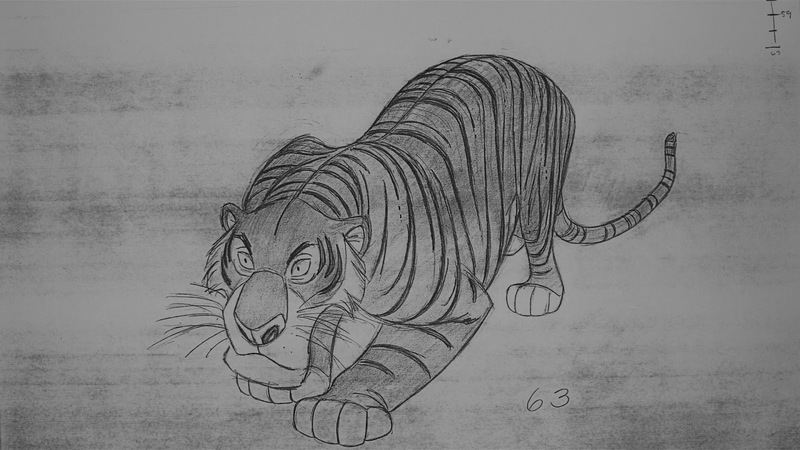 Back to the tiger. Before I shot these copies I noticed that one image was missing, so I drew one inbetween to complete the scene. First of all, that took me forever. 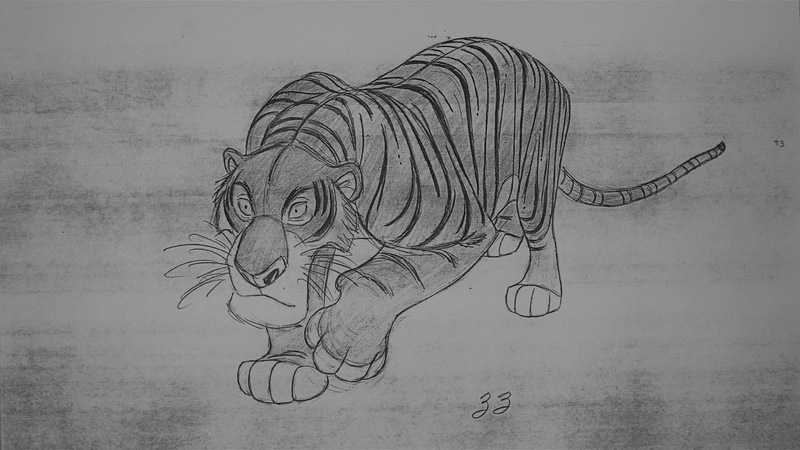 When you look at two tiger keys on your drawing desk, just try and figure out the subtle change in the stripes. Insane. 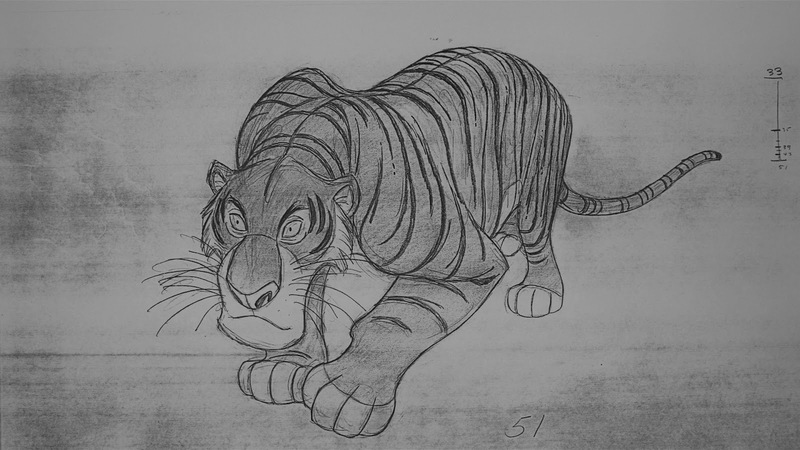 Whoever inbetweened Shere Khan (Dave Michener did some of it) deserves a medal! Of Course Milt Kahl wouldn't tolerate the slightest inbetweening mistake. Just look at how all those stripes define the subtle movement of skin over the body. 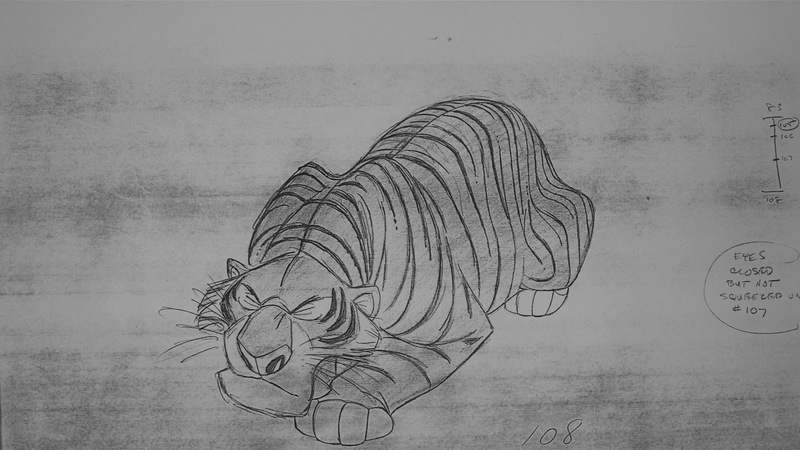 I have always loved this introduction to Shere Khan. His controlled, withheld power and strength are breathtaking. 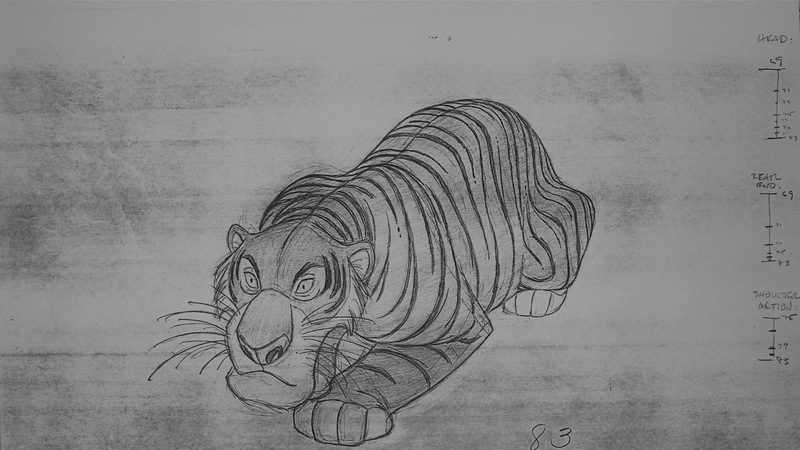 And the draughtsmanship is -as usual- awe inspiring as well as intimidating. 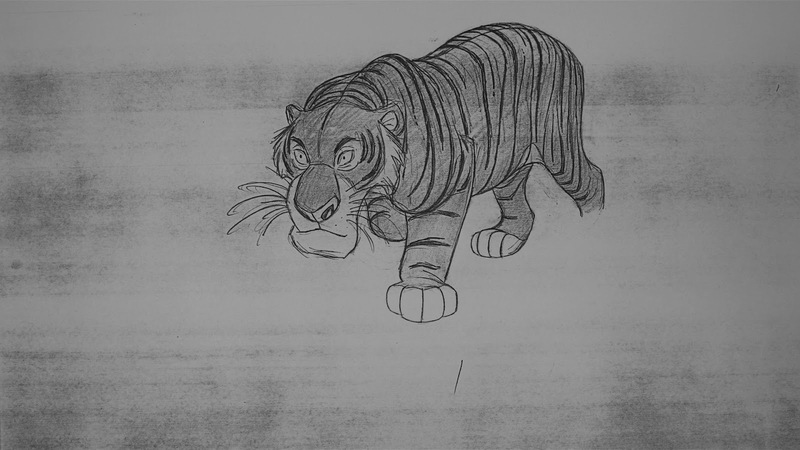 The movement of the tiger's shoulders in the second scene is sort of a cycle. 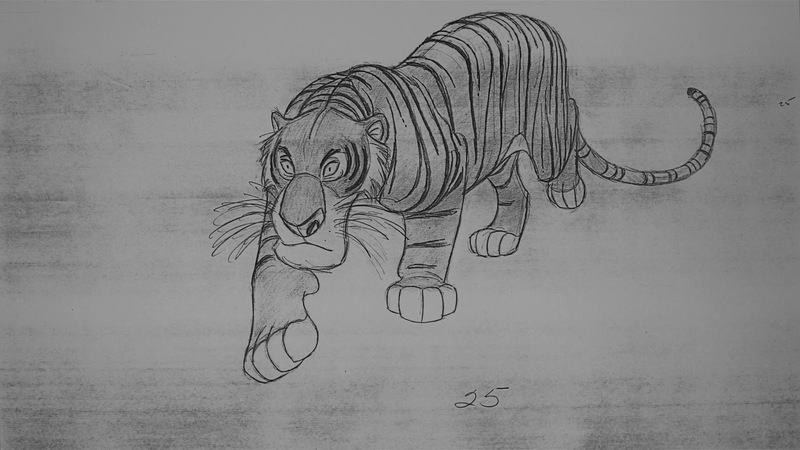 Milt animated that move once, then timed it a couple of different ways, slow and a bit faster. That's the only time I have seen him do this. Careful trace backs of the parts of the body that don't move give the scene so much life. If you'd use a partial hold for that, it wouldn't look this great. 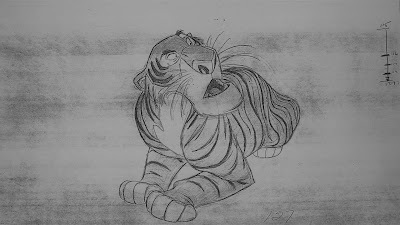 Without any further ado, here is some of the most amazing animation ever drawn!